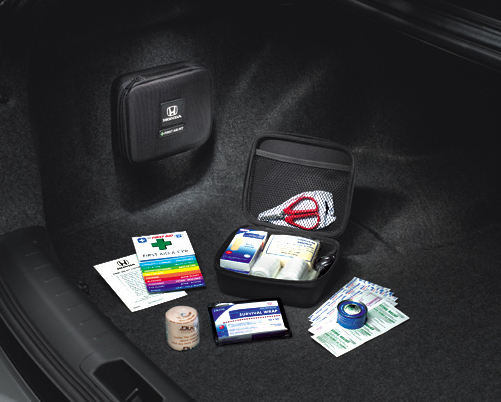 The First Aid Kit is custom-designed to provide a convenient safety aid in your vehicle. Includes first aid manual and basic first aid supplies to manage minor injuries. Custom-designed ballistic, zippered case for convenient storage. Available in all Honda models. **As show in the Accord Sedan.